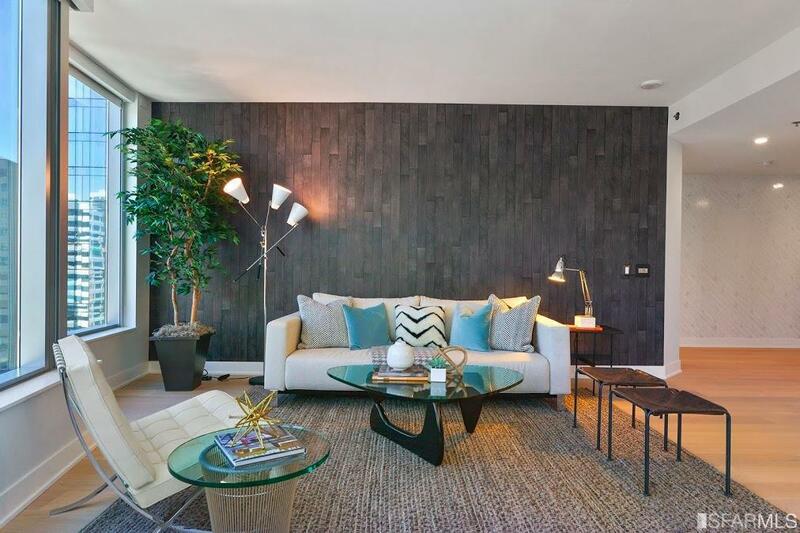 Majestic views of the city, Bay, and Bay Bridge from the Northeast signature floorplan at Lumina. 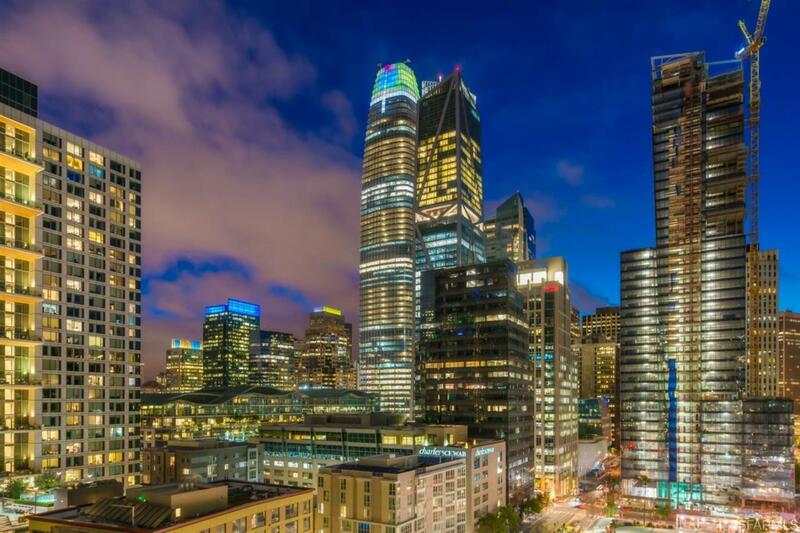 Corner 2bed, 2bath balcony home conveniently located near the San Francisco waterfront features floor-to-ceiling glass windows framing a panoramic view of the city skyline across the Bay to the Bay Bridge. Designer upgrades include wide-plank DeChateau hardwood floors, wallpaper from Brooklyn's Flavor Paper in the entry foyer, the living room, and both bedrooms. Closet organizers w/safe, Nest learning thermostat, motorized Somfy window treatments, light dimmers, W/D, 1 car valet parking. Lumina building amenities: fitness center, pool, rooftop deck, game room, dining room, club lounge. 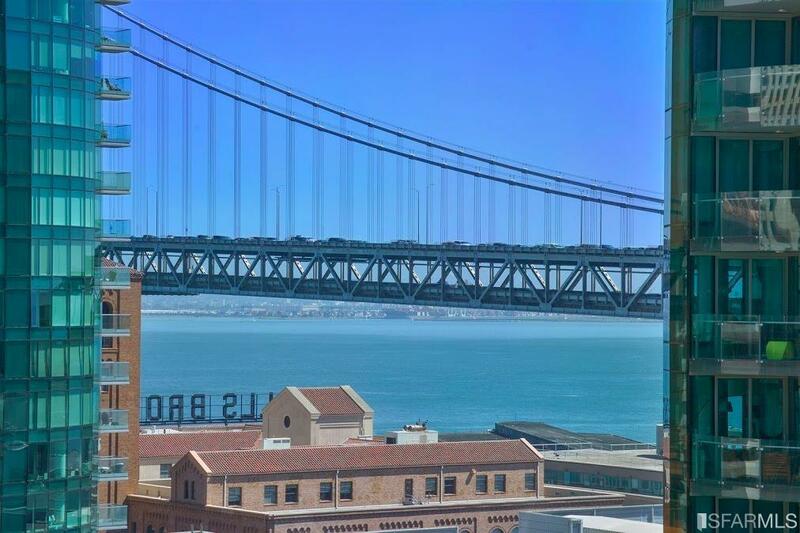 Desirable downtown location near AT+T park, 101/280, BART. 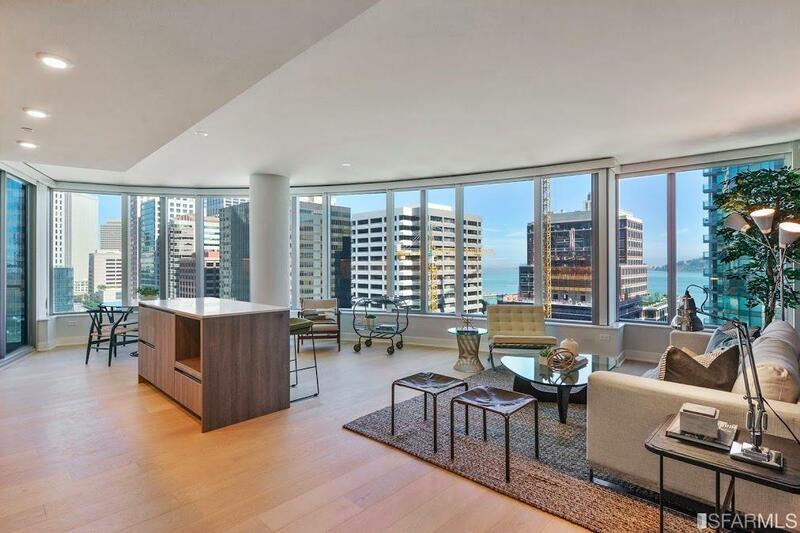 Listing provided courtesy of Christopher Lim of Climb Real Estate.